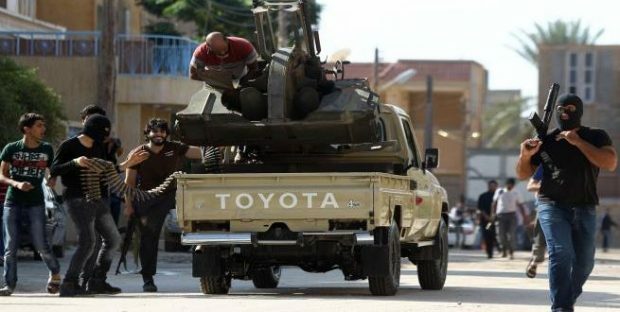 As violent clashes continue in southern Tripoli areas with Khalifa Haftar’s forces pursuing their war in the capital on different frontlines with frequent airstrikes on various locations. According to media reports, over 100 people have been killed and over 200 injured in the fighting so far from both sides with civilian casualties reported. On Saturday, an airstrike was carried out by Haftar’s forces on Alqudus School in Air Zara leaving only material damage. Meanwhile, the Sawani Bridge saw very fierce clashes between Presidential Council’s forces and Haftar’s forces, ending so far with the control of the former on the area and pushing the latter to Qasir Benghashir and beyond.